The CW is about to add another DC TV series to its ever-growing line-up of comic book shows, as The Hollywood Reporter is claiming that the pilot for Black Lightning has been given a series order, with the first season set to debut in January 2018. 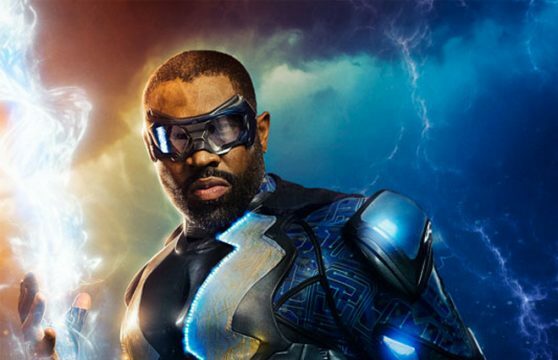 After the show endured a bumpy ride in its journey to production – it was initially developed and subsequently dumped by Fox before The CW finally picked it up – it’s good to know that Black Lightning is finally on its way to our screens. Even if it is somewhat later than we expected. Black Lightning will be the fifth DC TV series currently airing on the network, joining Arrow, The Flash, Legends of Tomorrow and Supergirl. Unlike those shows, however, it’s not expected to form part of the same shared universe – often dubbed the Arrowverse by fans – and will be part of its own continuity. Then again, that could certainly change if it proves to be a hit, as the potential for a crossover would surely be too great to resist. From what we understand, the cast of Black Lightning will include Cress Williams as the titular hero, Christine Adams as his estranged wife Lynn and China Anne McClain and Nafessa Williams as Jefferson’s daughters, Jennifer and Anissa. It’s produced by Arrowverse overseer Greg Berlanti and the showrunners are husband/wife team Mara Brock Ali and Salim Ali. Tell us, will you be tuning in when it debuts early next year? Sound off in the usual place and let us know!